It’s official: I have finally decided on a favourite neighborhood in Seoul. It’s strange for me to say this now after my multiple trips to the city over the last 7 years. And while I have visited a fair number of neighborhoods during this time, enjoyed multiple visits to them, and even made one my default place of residence on each visit (that’s you, Myeongdong), there hasn’t really been one that’s taken my breath away. 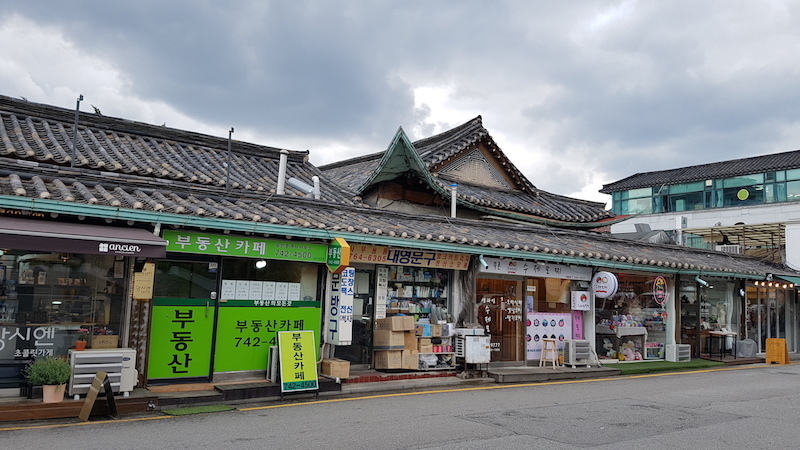 Until I decided to spend an afternoon at Gyedong (계동) during my trip in May, inspired by Rich Family’s Son (부잣집 아들), which had filmed there not too long ago. 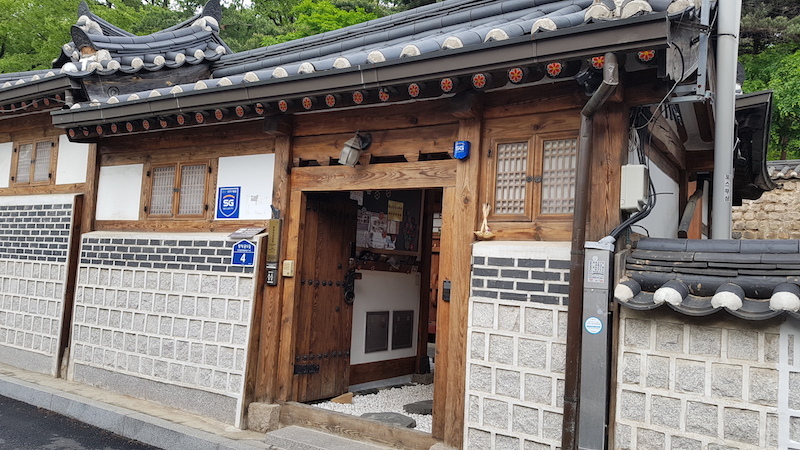 Though this area – which encompasses Gye-dong and Wonseo-dong (원서동) – is considered part of Bukchon Hanok Village (북촌한옥마을), it doesn’t seem to be as frequented as its more popular hanok counterparts – a good thing for those looking to escape the hanbok tourist horde! Quiet, quaint, and picturesque, this area makes for an ideal place for a stroll amidst traditional hanok houses and modern cafés and shops. And you’d be surprised at the many K-drama filming locations in the area too! Tip: Be prepared for lots of walking – so wear comfortable shoes! 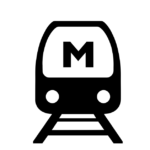 Start your journey from exit 3 of Anguk station (안국역 – Seoul subway line 3), and the first street that you’ll see after heading away from the exit is Gyedong-gil (계동길). Turn left, and start your walk past the many interesting shops and eateries. Once you get to the crossroad at the end of the street, it’s time to choose your own adventure – start your walk from either Gyedong-gil or Changdeokgung 1(il)-gil (창덕궁1길). The streets are linked so if you go the right way, you’d pretty much end up where you’d first started: the crossroad of Gyedong-gil (in front of you) and Changdeokgung 1-gil (to your right). For me, I started my walk ‘right’ by heading down the latter. 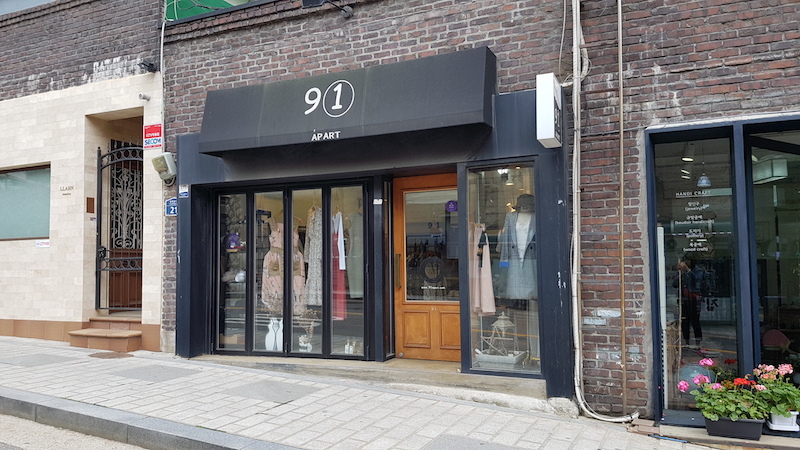 Head straight down this street for a few minutes and you’ll come across the first filming location on the right: 91 Apart, a clothes boutique that masqueraded as a ramen shop in Jugglers (저글러스). 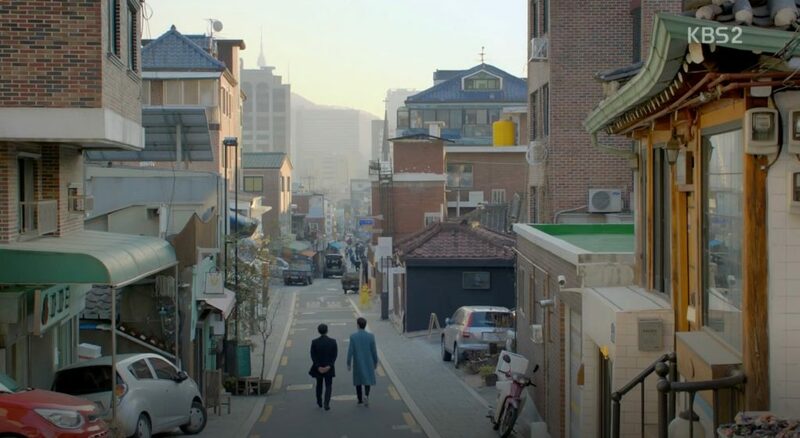 One of my favourite scenes from the show took place here in episode 9 – and while no words were exchanged between Yun-i and Chi-won, that moment outside the shop was a defining step towards them facing their feelings for each other. The architecture begins to change slightly as you walk further on towards Changdeokgung (창덕궁), which can been seen from the top of the street. Grey buildings soon make way for red brick ones, and even a townhouse-looking home on left of the street. 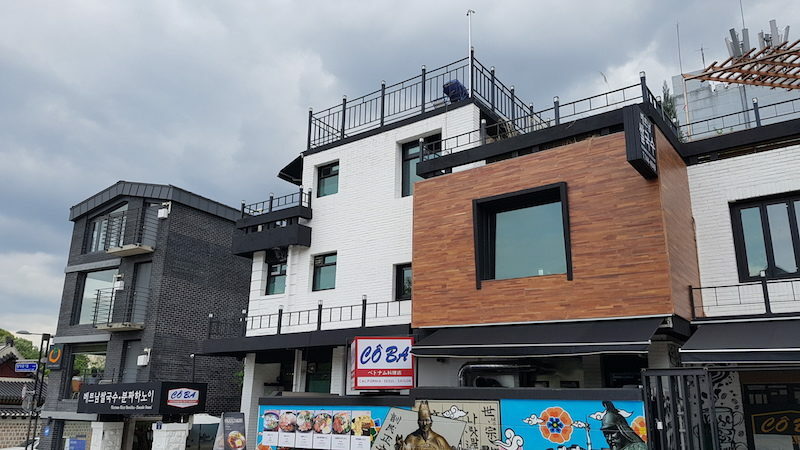 On the opposite side is a row of eateries that includes Vietnamese restaurant Coba – its rooftop was the setting for Jung-sun’s home in Temperature of Love (사랑의 온도). On its right is Biwon Son Kalguksu, most recently seen in Rich Man (리치맨). Turning left at the end of the street brings you to Changdeokgung-gil (창덕궁길), heralding the start of the familiar traditional Korean architecture that the area is known for, with the palace walls to your right and hanoks to your left. 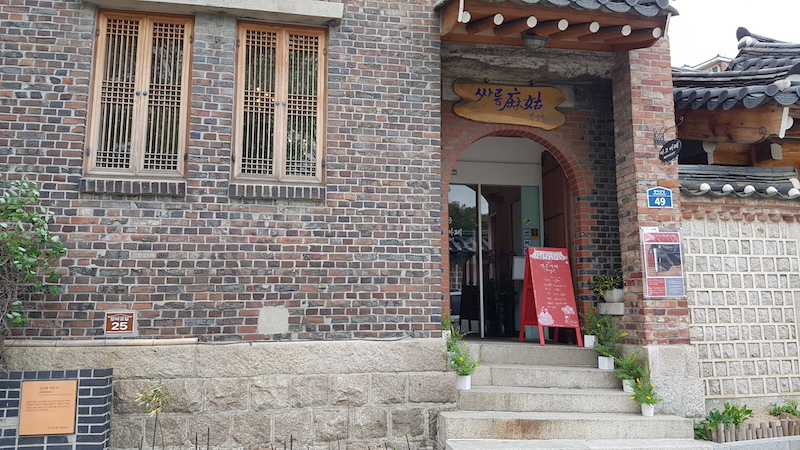 A slight walk down and you’ll see Café Margot, most notably seen as Soo-ho’s office in Black Knight: The Man Who Guards Me (흑기사). I had somehow envisioned it to be a little more European looking, to complement its French name, but its exterior suits it just fine. 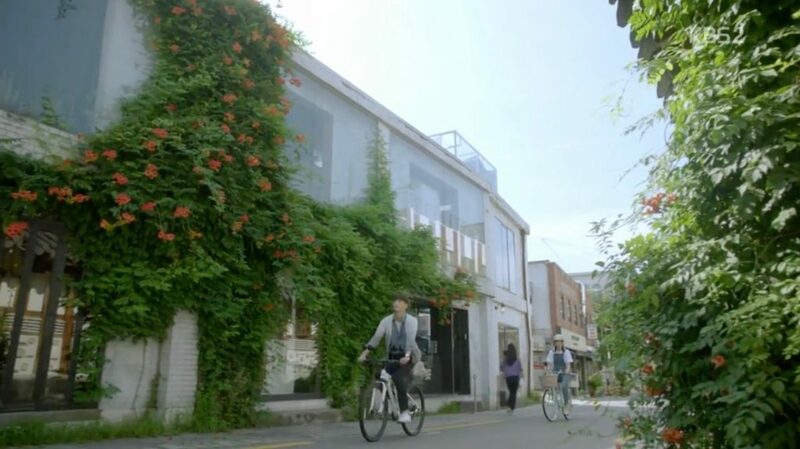 It’s connected to The Eun Deok Cultural Center, which can also been seen briefly in the drama. It will be quite a stroll from here on, but it will be an interesting one, as you pass by a mix of hanoks and old-style shops. 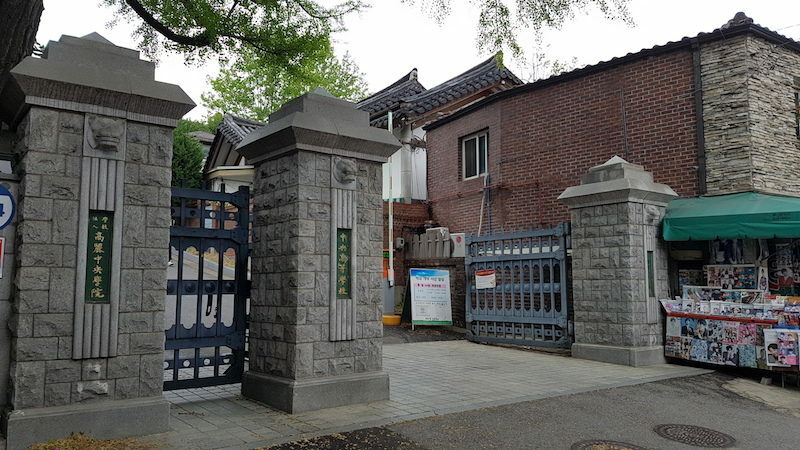 You’d also pass by Yoo-na’s house, seen in Yoo-na’s Street (유나의 거리), which I unfortunately missed out on. Once you get to the very end of the street, you’ll be faced with 3 paths – which do you take from here? 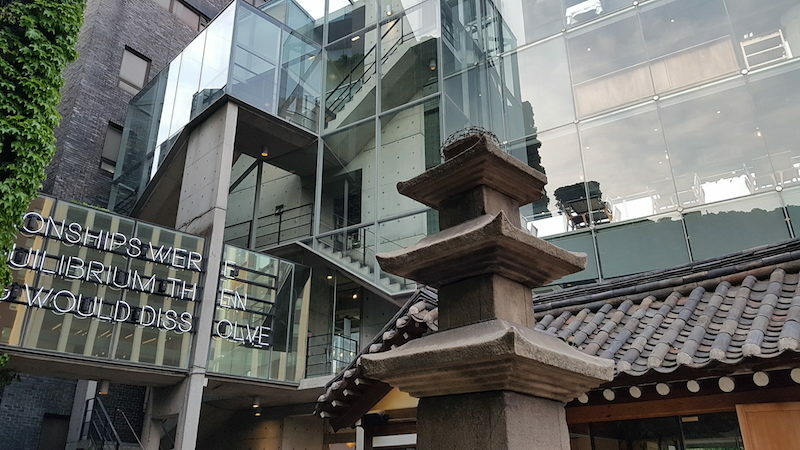 Well, if you’d like to view one more filming location, just walk a little down Changdeokgung 5(o)-gil (창덕궁5길) (to the right of ‘Maison de Ines’) and you’ll reach the headquarters of the Korean Kite Flyers Association (KOKFA), housed in a stately looking hanok. It would probably surprise you that there’s even such an association – it certainly did for me! 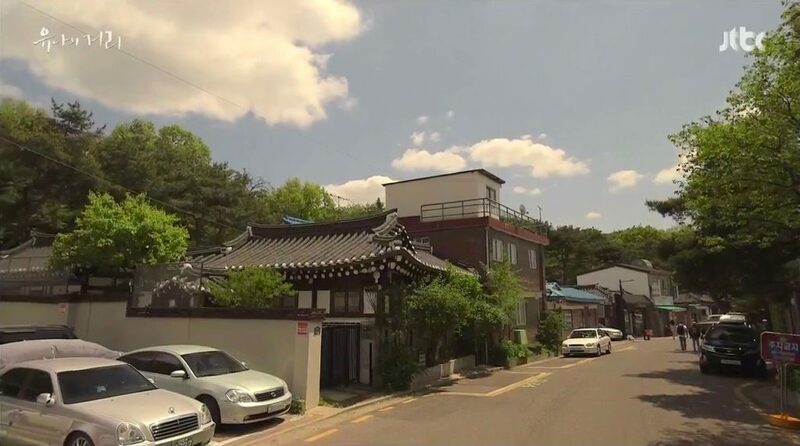 This was the setting for Oh Soo’s house in That Man Oh Soo/Evergreen (그남자 오수). 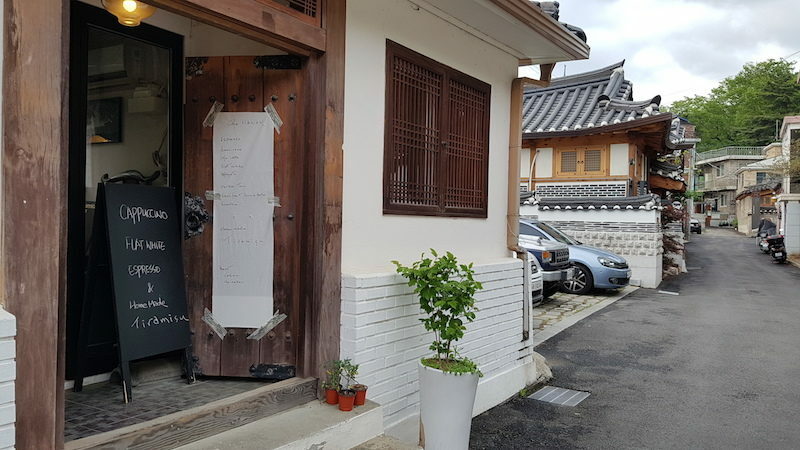 PS: I didn’t get to try the cute café across from this hanok – but if you do on your trip, let me know what it’s like! 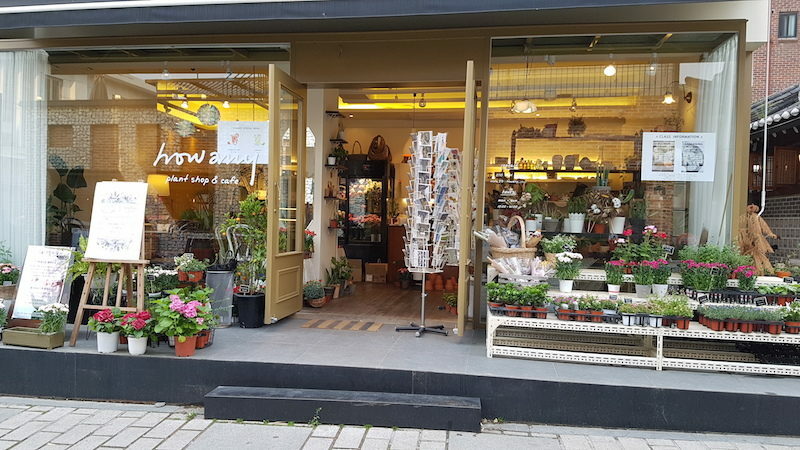 From here, head back to Changdeokgung-gil by taking the street next to Café 9th View. It’s another long walk – and an uphill climb too! But take in the various sights along the way, like hanok residences and colourfully painted cafes and shops. As the road begins to slope downwards, this is a sign you’ll be heading towards the top of Gyedong-gil. The first of a few filming locations on this street starts with Choong Ang High School, which was featured as far back as the classic Winter Sonata (겨울연가) to modern day hits like Goblin/Guardian: The Lonely and Great God (쓸쓸하고 찬란하神 – 도깨비). When I was there, it was the end of the school day, and students were filing out of the school with their friends and making the long trek towards Anguk station. Just a few steps down and you’re already at the next location — Luna Touch, also seen in Temperature of Love and Goblin. For those curious at what a ‘cravat’ is (which is what they specialise in, along with ties), it’s a men’s neckband that dates back to the 17th century! 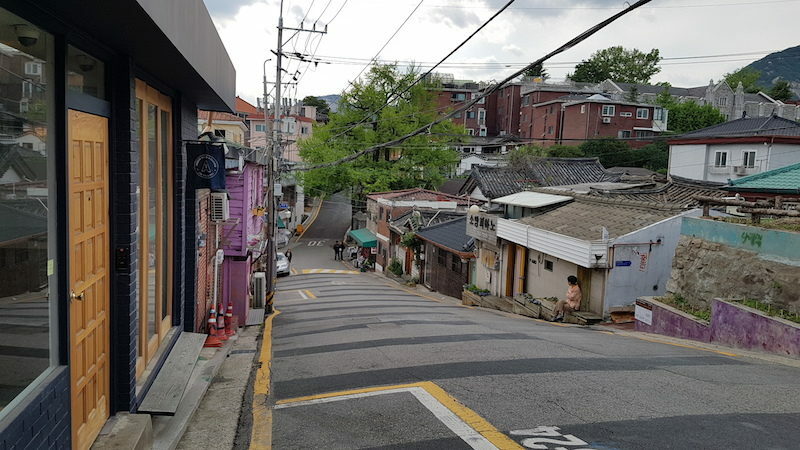 The street itself is also a filming location, first seen in last year’s My Golden Life (황금빛 내 인생). 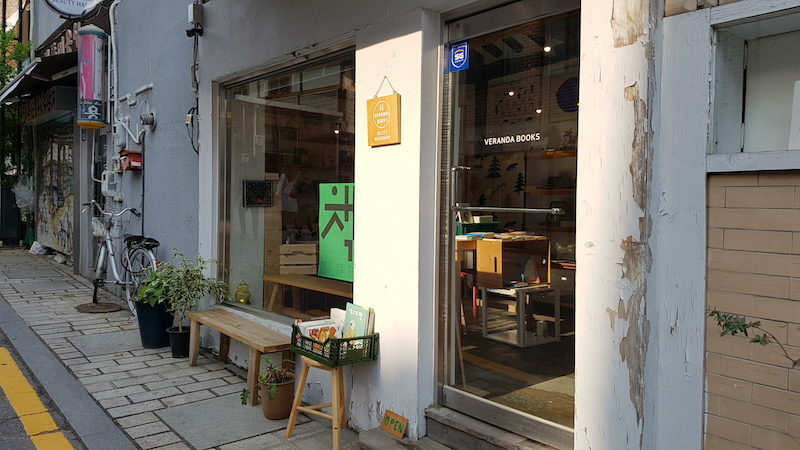 About a third down the street, you’d reach the place that inspired my visit – hat shop Aya, which appeared in Rich Family’s Son as the café Myeong-ha waited at for Mong-mong. 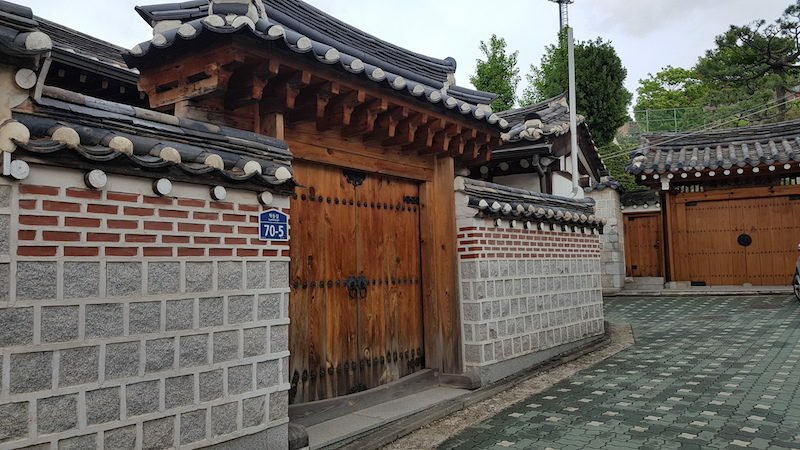 You may also be surprised to know that all the little side streets are still considered part of Gyedong-gil – in fact, Kyu-won’s hanok from Heartstrings / You’ve Fallen For Me (넌 내게 반했어) can be found in one of them! 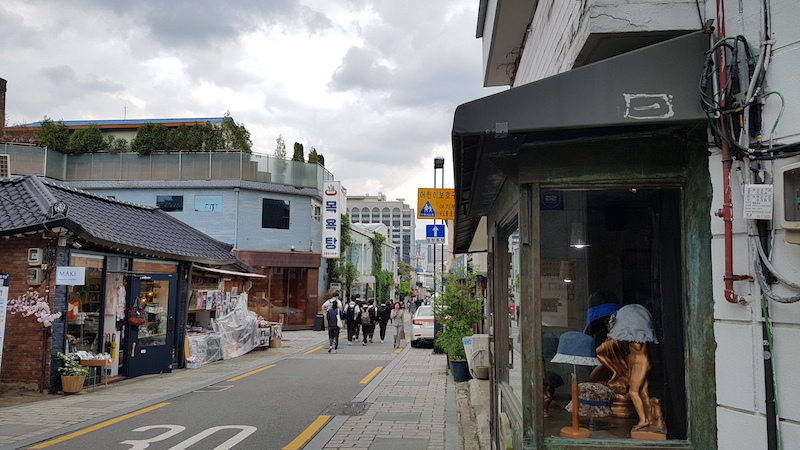 Be sure to also pop into some of the quirky shops and cafés found on this street, or get a bite or two from some of the stalls, which sells local favourites like hotteok (sweet pancakes filled with brown sugar) and Busan fishcakes. I ventured into select bookshop Veranda Books for a browse, and stopped for some peach earl grey tea and postcard writing in plant shop and café Howany, before making my way back to the station. Again, this route should bring you back to the crossroad from earlier, which will help lead you back to Anguk station. Here are some other locations that you could also check out if you’re in the area! 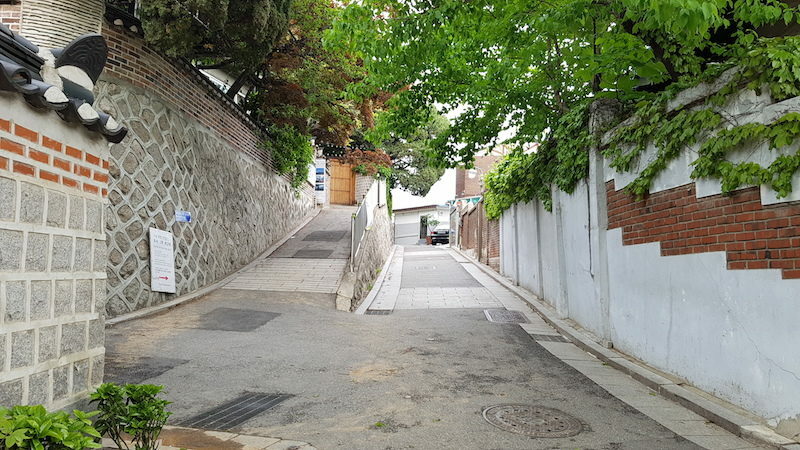 Down this street is a little juncture that was also seen in Temperature of Love – but sadly, that flower in the show wasn’t anywhere to be seen. There was much greenery for me to admire though, since it’s spring! 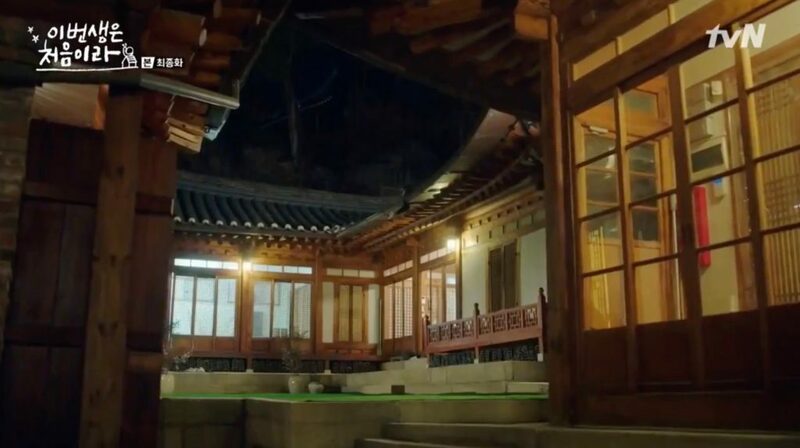 This house, considered a Folk Cultural Property in Seoul, was seen in both Black Knight and Because This Is My First Life (이번 생은 처음야). Though this isn’t quite along Gyedong-gil, it is actually located on the way to Changdeokgung, and worth a visit if you’re heading that direction. This was seen in A Gentleman’s Dignity (신사의 품격).